Simon, known as Sam, was the son of James Myerscough & Betty Maden. There is some confusion as to Sam's date of death. 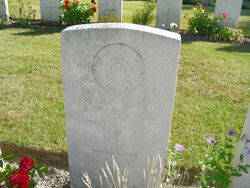 he died on the 27th June 1915. The Index of War Dead 1914 - 1928 shows his death as 1915.
and his own Memorial card show that he died 26th June 1916.